OMG Posters! 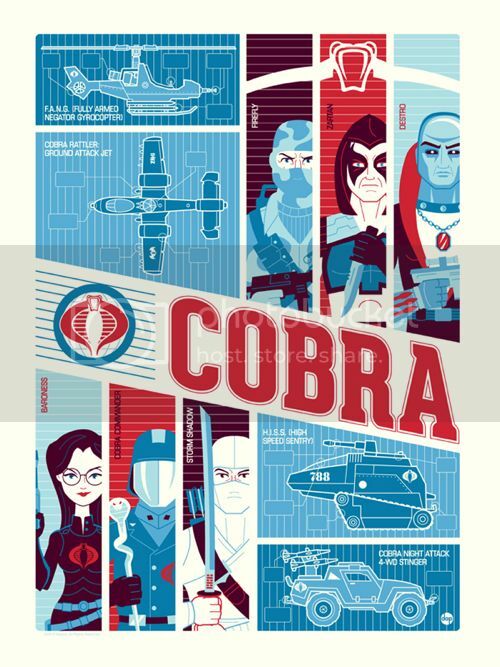 » Archive Exclusive: Acidfree Gallery Presents Officially Licensed Hasbro Prints by Tom Whalen and Dave Perillo (NYCC Onsale Info) - OMG Posters! 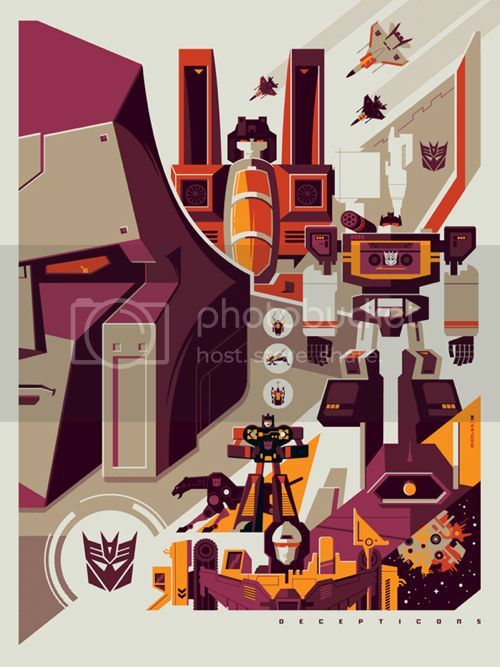 I just got the go-ahead to debut these new Hasbro art prints from Acidfree Gallery. Because of the complexity of their licensing agreement, I ran the press release in full. Click the social media links below, and also keep an eye on AcidFreeGallery.com. New York Comic Con is right around the corner and we will be launching our new series of screen-printed posters at the show! 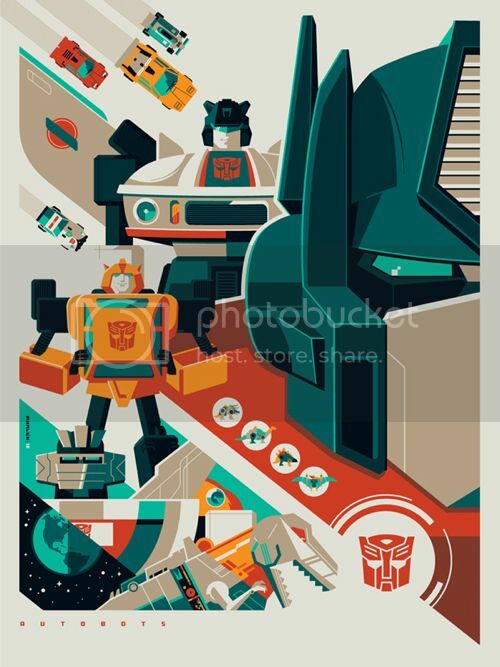 Together with Hasbro, we have created an officially licensed series of limited edition art prints. The series will feature images from Hasbro’s TRANSFORMERS and G.I. JOE brands. We will premier the first 5 prints at NYC comic con and we are excited to finally preview the artwork! 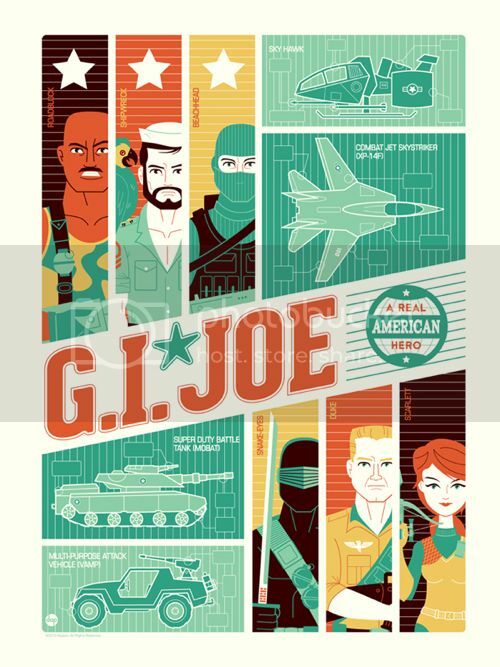 Officially Licensed by Hasbro, Inc.
All prints in the series will come with a trading card certificate of authenticity. They will be hand numbered to match each hand numbered print. The variant prints in the series will come with numbered card, signed by the artist! Look for us at NYC Comic Con, booth 1681! This will be your first chance to get your hands on these limited edition prints. We will also sell a very limited quantity on our website after the show. This is just the beginning of a very exciting series of screenprints planned for release over the next several months! Follow us on facebook and twitter for up-to-date news and details about the series. Twitter and facebook followers will have a chance to win a free copy of these new prints. Simply follow us on twitter or like us on facebook and you will have a chance to win! We look forward to seeing you at NYC Comic Con! All images related to TRANSFORMERS and GIJOE © 2012, Hasbro, Inc.
Will these be avail Day 1 of the show, and at opening? 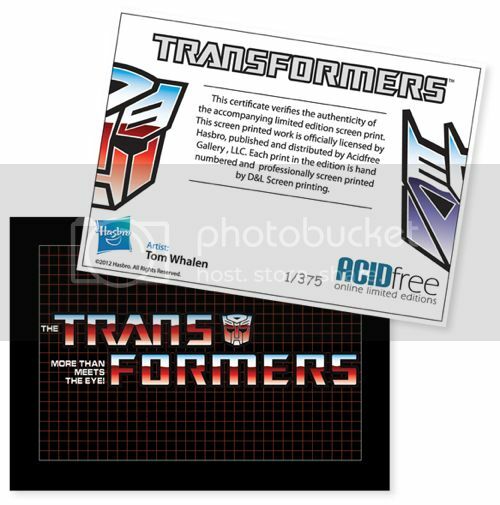 Absolutely loving them transformers prints, best I’ve seen for a long time, and I hope I get my hands on the pair. Transformers are sick!!!! I want. Must haves! Great job guys! Wow. Honestly, I usually can’t stand Whalen’s work, but all of these are awesome. If I were attending the NYCC, I’d be all over these. Is 100lb paper rollable? And if so, will rolling them up for storage damage the print? Howie, they are rollable, and will be fine for shipping. I wouldn’t recommend keeping them rolled for an extended period though. If you plan on storing them for a while, you’re going to want to store them flat. These will also go up online on 10/15!